Removable Label made from special adhesive which has specialized property. This labels when stuck on a substrate and then removed live no residue behind hence the substrate remains totally clean. This labels have dual property, they generate good adhesive bond at the same time they can be remove easily without any fiber tear. We are amongst the reckoned names in the industry, offering an extensive range of Wall Decal Malaysian Tower Sticker. They are offered in standard sizes and designs and are light in weight. Our entire product line is quality assured and ensures long lasting finishing. Moreover, we offer them in stipulated time frame. 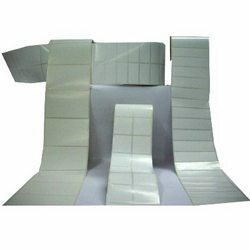 We are engaged in manufacturing and supplying an unparalleled range of Removable Adhesive Sticker , which can be removed without leaving any kind of stain on the surface. Our products are available in various designs, fonts, sizes and shapes that can be availed at the most competitive prices. Our organization is committed towards manufacturing and supplying prestigious clients a comprehensive range of optimum grade Removable Label. In order to keep pace with the never ending demands of customers, we are involved in offering wide range of Removable Label. Price Range Rs 0.01 to 1 Rupee. 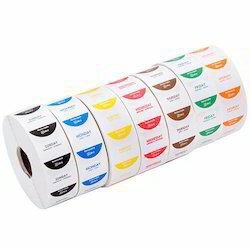 We are specialized in offering Removable Label Sticker.